Today, few marketers in the healthcare industry need to be convinced that engaging in social media is vital for the success of their brand. This represents considerable progress for a once sceptical industry. Unfortunately, a large number of marketers still don’t understand the full potential of social media engagement and how to maximise its value. In fact, I often hear clever marketers tell me that they are looking to launch a Google+ page in order to reap the SEO benefits – this is definitely not the right motivation for engaging in social media. So while there is a wider understanding of the functional benefits of social media, there remains a naivety about the value of creating a community which facilitates engagement with the pharma industry’s target audiences. We are seeing increased involvement from healthcare organisations in conversations around healthcare issues of universal importance: child and maternal health, immunisations, health policy, the rise in non-communicable diseases, the spread of infectious diseases, and many more. It is becoming more and more important for brands to join these conversations to demonstrate how they contribute to improving the state of healthcare. So how do you begin to join the conversation and maximise the value of your brand’s social media engagement? First, remind yourself what the purpose of your brand communication is. Are you trying to improve MS patients’ understanding of their condition? Are you trying to improve the cardiologist/patient relationship? Before you choose which social media channels you will use, restate your brand’s purpose: this must be the cornerstone of the social media experience you create. This will prevent you from creating a Twitter account just because your competitors are already there, and will allow you to create a community experience with all the appropriate engagement channels aligned to your brand’s objectives. Your approach to developing your social media experience will be different from your approach to creating your other digital properties. For example, every company has a branded website – this is where you talk about your brand and how wonderful it is. This is kind of message doesn’t belong on social media, however. Rather, social media is where you demonstrate your brand’s purpose by engaging with your target audience. This approach is the same as in the real world; you may talk about your successes at home but when you are in a social setting with peers and colleagues, you engage in intelligent conversation that reveals what you feel is your added value. Your social media channels need to demonstrate that same value for your target audience. I recently handled the live tweeting at an annual event for one of our brands. Being able to see what content our target audience engaged with in real time gave me hugely valuable insights into what information is most valuable in the social media space. I noticed our audience engaged most with content around the results of the innovation awards we had held, much more than with any of the branded messages. Of course they did! As one of the brand’s core purposes, innovation resonated with our target audience and motivated them to engage with the content. The following are the key areas to consider when beginning to develop a community which will allow you to engage and share content with your audience, allowing you to demonstrate your brand’s purpose. Obviously, the reasons for activating social media varies for different brands. Whatever the reason is for your brand, make sure you recognise that social media does not have a shelf life. The value of social media grows over time through the relationships built. Do not solely push out branded messaging. Allow your community to provide content as well. This user generated content will be engaging for the rest of your audience and allow you to pull valuable insights from your audience. Social media is not about the channels; it’s about the experience. Commit to the experience you are trying to create. I often compare this step to planning a party. When you throw a party, you take all the necessary steps to create a memorable experience: you invite the right people, find the perfect venue, and plan the decorations and activities. Once you understand what experience your brand is trying create, you can employ the right channels to successfully deliver that experience. For example, if your brand is trying to raise awareness, use a social media channel with a more emotional dynamic, like Instagram or Pinterest. If your brand is trying to spark conversation, provide a forum for your target audience to discuss. Your social media intelligence will be realised as you engage, but a lot of preparation should be done before you begin. Know the key topics of the conversation, know who the influencers are, and know where the conversation is already happening. The same way you would not set up a booth at a congress without understanding who will be in attendance, don’t enter the social media world without understanding who is already talking. Now is the time to begin to build your brand’s social network. It is important to recognise your brand will experience the most value from the relationship it builds. One of the brands I work on receives requests about collaborations and partnerships through its existing relationship all the time. We actually have to turn down some of the offers because it is not possible to support them all – but it demonstrates how this brand has moved down the marketing funnel from awareness to advocacy. Some of our best opportunities have found us, rather than us having found them. It is fairly easy to overlook the need to monitor and report on performance, but it is essential to do this when trying to convey the success of your brand’s social media engagement to your internal team. Your community manager has a finger on the pulse of your social media engagement, and has the power to continually optimise your social media activity in real-time. So for that reason, hold regular reporting discussion to talk about opportunities. Document strong achievements made through social media so you have them ready when the appropriate opportunity arises. As we all know, a marketer’s budget is tight. Do not launch a social media channel for the sake of it. What you will end up with is another digital channel which needs to be continually fed with content. Instead, create a community which creates value in both directions: it increases your audience’s trust in your brand’s purpose and allows you to better understand your audience. Joyce Higgins is one of the original members of the social media team at Digitas Health LifeBrands in the EU. Creative thinking to provide innovative solutions to clients around social media has driven Joyce for the last year and a half. Joyce is a Londoner for now, joining the Digitas Health LifeBrands London office three years ago, but she is a New Yorker for life. She started working for the Digitas Health LifeBrands’ New York office five years ago. Earlier this year, she took a short career break to travel around Asia, photographically documenting the whole experience through her blog and Flickr account. Now she is back and looking forward to all the exciting work ahead of her. The great thing about social media experts is they are easily researchable: take a look on any social media channel to find out more about Joyce (@jcahiggins). 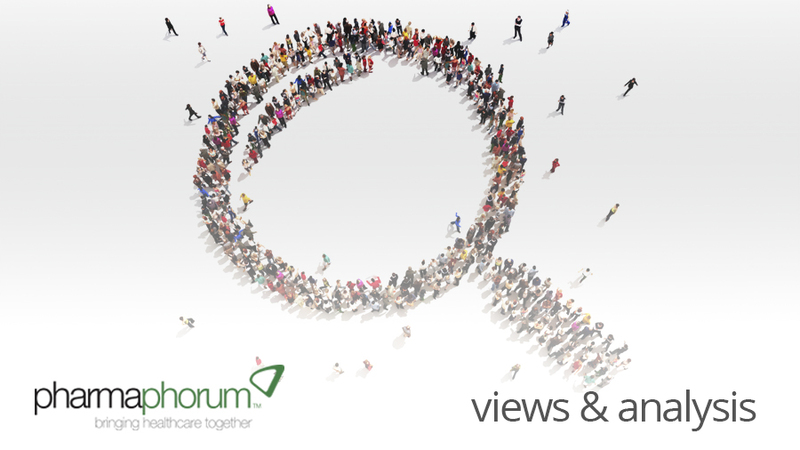 Have your say: Is pharma beginning to understand how to really engage online?